If you have watched any of those TV shows that feature hoarders, you must have noticed that the elderly are disproportionately represented. Old people tend to hold on to items due to the memories they attach to them. But while sentimentality can be a good thing, an overly-cluttered house not only affects the occupants’ quality of life, it poses a health risk. With Clearabee offering skip hire and other services aimed towards large quantity garbage removal, now is the time to encourage your elderly loved one (be it a relative or next-door neighbor) with hoarding tendencies to clear up their living space. Why shouldn’t the elderly live in a cluttered space? Since most people living in cluttered spaces added items to their home gradually, they may have grown accustomed to the inconvenience that it brings to their life. But this does not mean that they are unaffected. When a house is too full, you have limited access to important living spaces. For example, a verandah or balcony area might have been unused in ages due to all the clutter stored within. Entertaining guests can be difficult when you don’t have the space to entertain them in. This leads to a much lonelier way of life. Useful items, that might improve their quality of life, might have been buried under useless junk for decades. De-cluttering their living space would significantly improve their quality of life and overall happiness. Forget the convenience factor; this should be the most important reason to de-clutter the house of an elderly hoarder. As age progresses, the human immune system and physical body weaken. This is a bad state to be in when your living space is cluttered. Harmful germs and pests find perfect spaces to hide, and breed, within a cluttered house. Items strewn all over can easily trip over someone who is physically frail. Not only does the clutter become a fire hazard, but it also limits the mobility of any responders if a fire does occur. 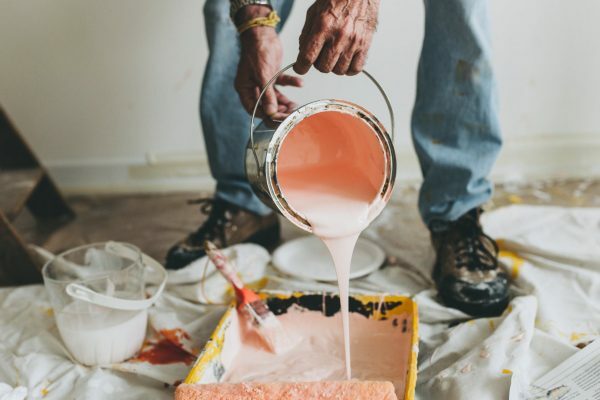 While all the above points are compelling, elderly people are notoriously stubborn, especially when it comes to items that have sentimental value. Remember to respect their living space, dignity, and agency by not being overbearing. Use a patient and kind approach, without being overly patronizing. Through patience, you have a higher chance of winning their hearts over to the de-cluttering process. There are two main products that would suit a massive house clear-out. If you are clearing out the house at a single go, then nothing beats the skip hire. When chose the skip hire service, a skip will be delivered to your property, which you can then fill with all the items being discarded. Once filled, the company will send personnel over to retrieve it and dispose of the contents. If the house contents are not many enough to warrant a skip hire, or if you are de-cluttering the house gradually, then you should opt for the bee-bag. Bee-bags are massive skip bags that come in four sizes ranging from small (roughly the size of two washing machines) to X Large (roughly the size of 12 washing machines). Apart from their differing sizes, a bee-bag and skip hire are priced differently. Bee-bags come with a fixed cost, which covers both retrieval and disposal, while skip hires are charged based on the weight and contents. Bee-bags, however, have weight limits for each bag size. Clearabee has the capacity, experience, and expert personnel to ensure that clearing out a home becomes a stress-free procedure. With nationwide coverage, there are fewer better services. Previous post: Vein Doctor Jordan Garrison: What are Your Options for Varicose Vein Treatment? Vein Doctor Jordan Garrison: What are Your Options for Varicose Vein Treatment?